Are you preparing to shop for your wedding dress? If so, you should be incredibly excited, as it will certainly be a joyous experience for you! However, to really make the most out of your wedding dress shopping journey, you will want to be prepared! First off, you will want to determine how much you have to spend on your wedding dress. This way, you only try on gowns that you can afford. After all, you wouldn’t want to fall in love with a dress that is out of your price range. In addition, keep in mind that alterations may need to be completed, which would be an additional cost on top of the initial price of your dress. Hopefully, you discover your dream wedding dress on your first shopping excursion. However, if this isn’t the case, you will want to ensure that you have enough time to continue shopping around. In addition, it will take time to create your dress, and have alterations completed. So, shopping for your dress should ideally take place about eleven months before your big day. There are many styles of wedding dresses. From the traditional A-line, to the gorgeous ballgown, you will want to determine which style complements your body best. So, when shopping for your gown, try on a dress in each style, so that you can figure out which one is best for your specific body type. 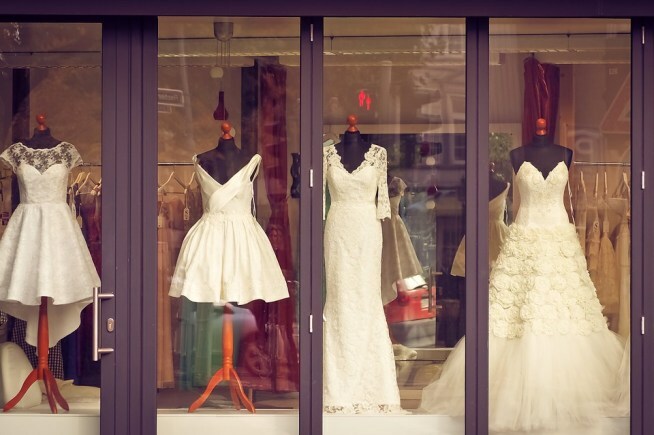 Being prepared for your wedding dress shopping experience is certainly of importance! These are just a few tips that you will want to keep in mind. If you are ready to discover your own wedding dress at a bridal boutique in Baltimore, Maryland, please get in touch with us here at Lily’s Bridal & Prom Boutique! We are always thrilled with the opportunity to pair brides with their dream gown, and would be pleased to do the same for you as well.